Mary Catherine then undertook a masters degree (MSc) in marine biology in UCC. This involved a 6-month research project which was focused on the ecology of an invasive algae species. 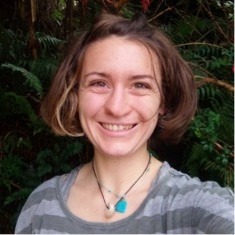 This research developed her interest in the area of invasive species ecology, which led to Mary Catherine carrying out a PhD on an invasive barnacle species from 2013-2016. Mary Catherine has also worked as a marine biology tutor for primary school children and as a marine ecology walks leader on blue flag beaches.